Welcome to Black Gold Guns & Ammo! Monday thru Friday 9 AM - 6 PM. 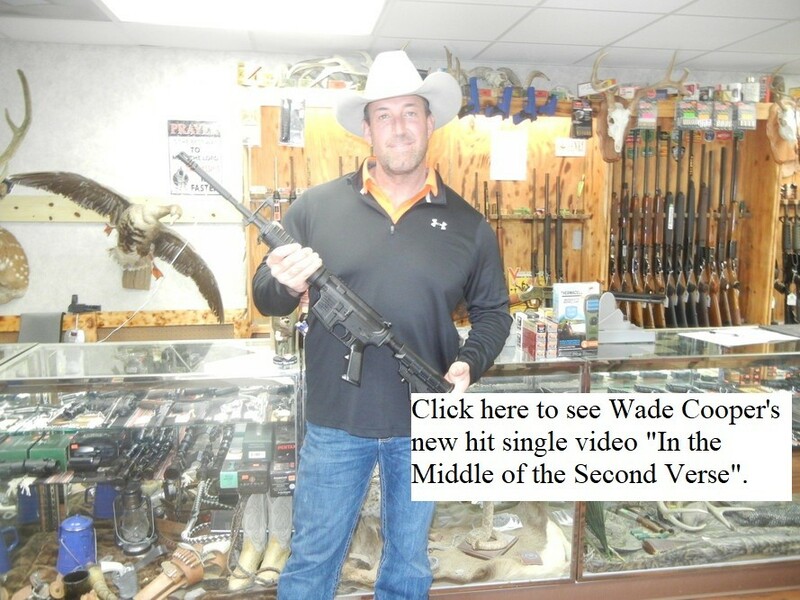 We have what other gun shops want...your business...and we will work hard to keep it. Benelli Montefeltro Max 5 with Saw Grass Pattern Camo. In store price: $899.00/cash until they are gone. Please call BGG&A for details. 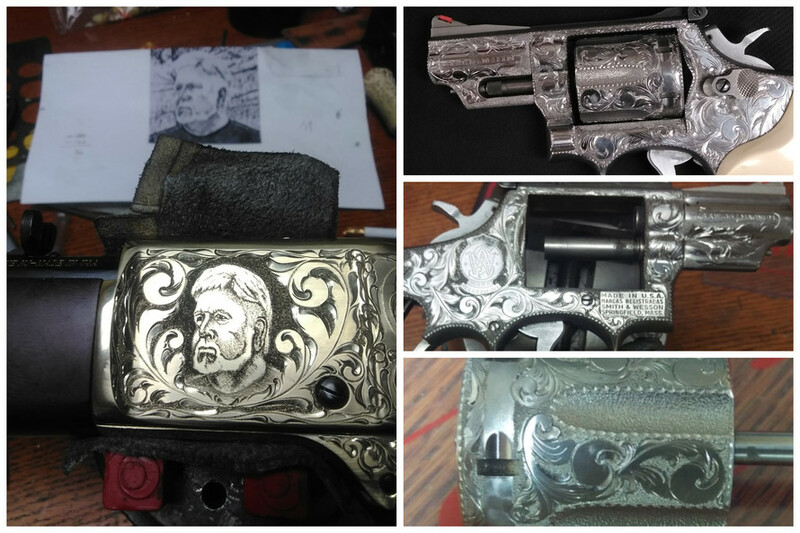 Have you ever wanted to dress up or personalize your firearm? Good news, we now offer custom gun engraving for all your firearms and knives. Sign up today today at www.gunlawseminar.com and bring your friends. This workshop cost $10, but friends of Black Gold Guns & Ammo get in for free, just use the promo code WORKSHOP when signing up! 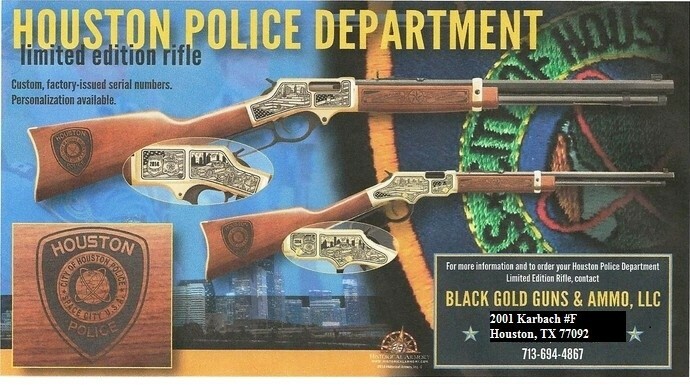 Look for TEXAS and then search for BLACK GOLD GUNS. 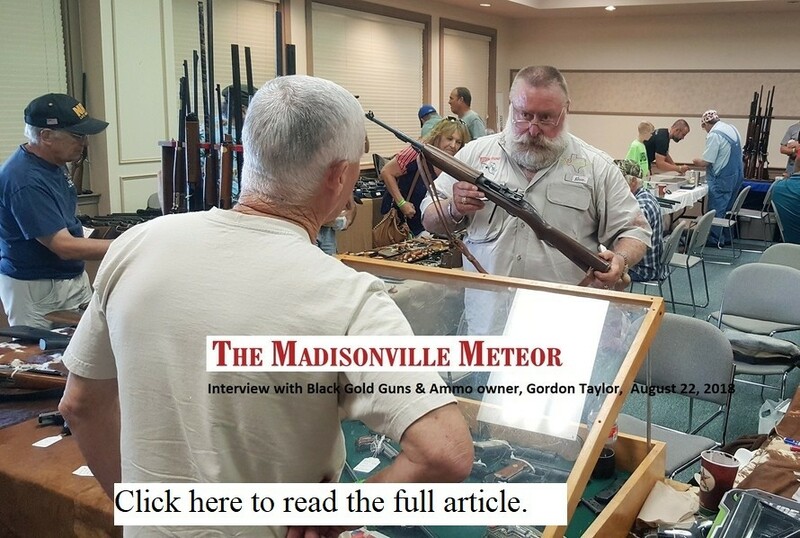 Interview with Black Gold Guns & Ammo owner Gordon Taylor in the Madisonville Meteor, August 22, 2018. Click here for more videos and articles! We are a Full Service Gun Shop! FFL Transfer? Custom Gun Orders? No problem. Come see us today.